Green Screen Photo Photography has become the go-to novelty entertainment for events from coast to coast. It has become a must-have for Weddings, Mitzvahs and all different kinds of events. Green Screen Photo Technology instantly transports you and your guests to another place or time. Have your image captured with your favorite POP Star, Star Wars to Batman or with the backdrop of Glee or Twilight, an iPhone, chocolate chip cookies or M&Ms. Travel to a time or place like the ‘60s, ’70s or ‘80s, NYC, Atlantic City, Vegas or Israel. Ravens and Redskin fans – we’ve got you covered! Individuals, couples or groups are casually and quickly posed and captured in front of a Hollywood Style Green Screen Photographic Background. Guests can then choose from dozens of background scenes or something custom designed especially for your Bar/Bat Mitzvah, Wedding or Corporate event. Our teams have more than100 various backgrounds with them and are always happy to accommodate if more are needed. No group is too large or too small. Multiple stations can accommodate 100’s or even 1000’s of guests in an evening. Photos can be delivered in less than 60 seconds or packaged for pickup at the end of your party. Photos are available in 4×6, 5×7, 8×10, 11×17 or even 16×20 posters. Looking for something NEW and DIFFERENT? Replace standard photos with USB bracelets (thumb drives – some charges may apply based upon number of guests). Images can also be made into key chains, mouse pads, placemats or t-shirts. Best of all, your guests will be able to view, share and/or purchase additional copies online through our password protected digital image gateway. Lastly, you will receive an 8 ½” x 11” bound proof book and matching CD of all the party photos to cherish and relive for years to come. Green Screen event will come with an experienced photographer using a Professional DSLR digital camera (not a point-n-shoot), studio lighting, 10′ green screen, laptop, professional dye-sublimation printer (NOT inkjet) and cardboard photo folders with frosted plastic bags (unless otherwise specified). We require a 10’x 14′ space, TWO – 6′ tables, TWO chairs and access to power at least 90 minutes prior to our start time in order to be ready for your event. I just wanted to send a huge thank you to you and your team for everything you guys did on Tuesday! The green screen was a huge success and the guests absolutely loved it! Are the pictures available online perhaps? We’ve had some calls from a few of the guests. If not, no big deal, just wanted to ask! We are excited to work with you again soon at Tech Titans! Thanks so much for your help and Yoshi’s help on Saturday. It was a terrific service and it made a huge contribution to the overall success of the party and to our happiness. I’ll pass this link on to many, many people. 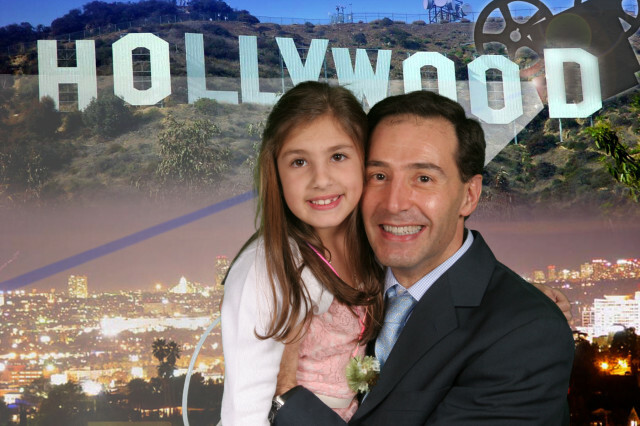 Thank you so much for the amazing green screen station at my daughter’s Bat Mitzvah this weekend. Your staff was so much better than I’ve ever seen at any other party! There were no lines, and I’ve never seen a printer make pictures that fast. Thanks again. We’ll always treasure the great memories! Next party is in 2 years. PS. I didn’t even know I was getting a proof book and DVD – Bonus! 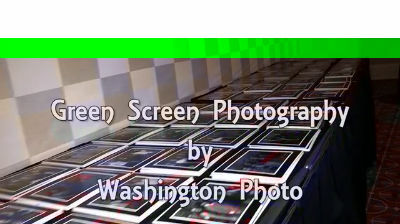 We used the services of Washington Photo for our corporate party of over 350 people. The Green Screen portrait station was a big hit and everyone had a fun time with it. Guests loved getting the framed pictures right there at the event. Our representative was professional, hard-working and friendly. As a company we felt well cared for. On site contact person or event planner? Number of guest you are expecting? Is the event themed? If so, What? We recommend 10-15 backgrounds, no more than 20. To many choices slows down the event flow. We also have more backgrounds with us if guests need others.